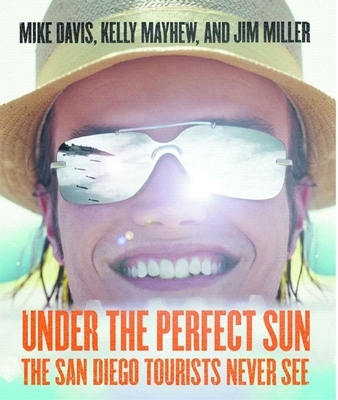 For fourteen million tourists each year, San Diego is the fun place in the sun that never breaks your heart. But America's eighth-largest city has a dark side. Behind Sea World, the zoo, the Gaslamp District, and the beaches of La Jolla hides a militarized metropolis, boasting the West Coast's most stratified economy and a tumultuous history of municipal corruption, virulent antiunionism, political repression, and racial injustice. Though its boosters tirelessly propagate an image of a carefree beach town, the real San Diego shares dreams and nightmares with its violent twin, Tijuana. This alternative civic history deconstructs the mythology of "America's finest city." Acclaimed urban theorist Mike Davis documents the secret history of the domineering elites who have turned a weak city government into a powerful machine for private wealth. Jim Miller tells the story from the other side: chronicling the history of protest in San Diego from the Wobblies to today's "globalphobics." Kelly Mayhew, meanwhile, presents the voice of paradise's forgotten working people and new immigrants. The texts are vividly enhanced by Fred Lonidier's photographs. MacArthur fellow Mike Davis is the author of several books, including City of Quartz, Ecology of Fear, Late Victorian Holocausts, Dead Cities, and--with Kelly Mayhew and Jim Miller--Under the Perfect Sun. He lives in San Diego. Kelly Mayhew is a professor in the English department and honors program at San Diego City College. She is a co-author, with Mike Davis and Jim Miller, of Under the Perfect Sun (The New Press) and, with Jim Miller, of Better to Reign in Hell (The New Press). She and Alys Masek co-edited Mamas and Papas. She lives in San Diego. Jim Miller is a professor of English at San Diego City College.